Gianfranco Beting - Panda-, Communications Director, Brand and Product Azul Linhas Aéreas, recently released some pictures taken, taken from inside a Navajo, a flight test with the brand new PR-AXH. The E-195 received a stylish painting originated in the contest "their art up there," sponsored by the company last year. The painting exposes some of the most famous scenes in Brazil as the Sugarloaf, the toucan, a capoeira and samba, represented by tambourine. Over the past few years he has held the Blue, with great discipline, its institutional marketing, building an increasingly strong name. Lovers of aviation and passenger missing bit to see this beautiful painting in the air. United's Dreamliner unveiling on August 22, 2012 provided the first look at the aircraft's interior and customized livery that is exclusive to the fleet, featuring a gold line that wraps the fuselage and swoops from nose to tail. The livery is inspired by the trademark swoop painted on each of Boeing's aircraft and is being adopted for the United Boeing 787 in a tribute to the two companies' long history of working together. To promote the airport, and at the same time the city, of Prague, Holidays CSA has introduced a logo-jet with "Prague loves you" titles on the fuselage and the Prague Airport logo on the tail fin and engine cowlings. Ukraine International Airlines Antonov AN-148-100B UR-NTC received a special stand alone livery. It's yet unclear whether this is just a "festive one time livery" or the start for a fleet wide livery make over. Finnair’s (Helsinki) Caravelle days are being remembered in a movie currently being filmed in Stockholm. Le Caravelle Club’s Sud Aviation SE.210 Caravelle III SE-DAI (msn 210) has been repainted in the 1966 livery of Finnair as OH-LSB. OH-LSB is also named “Tampere”. The shade of blue used in the repainting appears to be a lighter shade of blue than what was used in this era. The original OH-LSB (msn 182), also named “Tampere”, was actually a larger SE.210 Caravelle 10B3. Top Copyright Photo: Stefan Sjogren. The new “OH-LSB” is parked close to taxiway W at Stockholm – Arlanda today. Filming is taking place this month in Stockholm. The Caravelle was repainted just a few days ago at Arlanda. Bottom Copyright Photo: Jacques Guillem. The historic photo of Douglas DC-9-15 OH-LSK is an actual aircraft painted in the 1966 livery which appears to be a darker shade of blue. The “F in the circle” logo by the nose was introduced in 1968. Loeloe and Tijger, the mascottes of the new holiday concept Kids & Co of Corendon. A Boeing 737-300 is decorated with Kids & Co theme stickers. During the May holidays the first Kids & Co flight will take off. Loeloe and Tijger will officially baptise the plane with kids champagne. The hairy friends are helping the tele-sales team and in the mean time they have already sold 10.000 tickets. The bookings are equally divided over seven holiday resorts of Kids & Co in Kos, Rhodes and Crete in Greece, Bodrum and Antalya in Turkey and the Algarve in Portugal. Kids & Co is going to be the holiday event for kids and focus itself on the youngest group of children (0 - 3 years Baby & Co) and on older children till 12 years. De youngest get everything they need on board: bottle warmers, infant chairs and beds. The older group will be treated with an animation team for the whole day (6 days a week) so that parent can enjoy of a welcoming rest. The animation, meals and drinks are all included in the total package price. Air Malta is promoting capital Valletta, candidate for the title Cultural Capital of Europe proving this themed livery design 'candidate European Capital of Culture 2018'. The livery depicts the skyline of Valletta in amber colours. British Airways (London) as previously reported, will introduce new logojets (Airbus A319s and Boeing 747-400s) in April to help celebrate the upcoming 2012 Summer Olympics in London. The theme of the special color scheme is called “The Dove” and was designed by Pascal Anson. In addition, an Airbus A319 will be painted in a gold livery to fly the Olympic flame from Athens to Culdrose on May 18. “The design of the British Airways aircraft to celebrate the London 2012 Olympic and Paralympic Games will be “The Dove” by up and coming British designer Pascal Anson. His artwork beat hundreds of entries in the BA Great Britons Programme, and was chosen by a judging panel including Turner-prize nominated artist and Royal Academician Tracey Emin, the Royal Academy of Arts and the airline. As BA Great Britons mentor, Tracey Emin has advised Pascal during the project, and said: “It would have been easy to put a motif or a pattern on the side of an aircraft – but Pascal’s design takes it to another level. 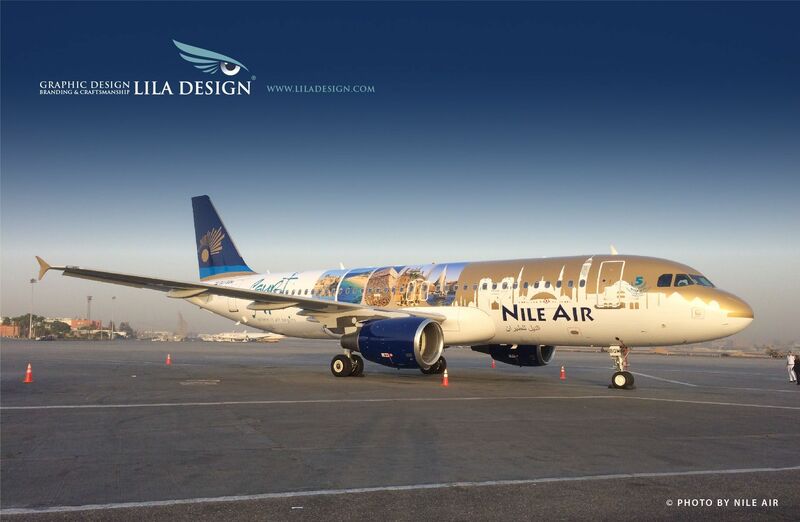 He uses the entire livery of the aircraft to redefine the way you look at it. The dove is a stunning piece of work and will bring real excitement to anyone who flies on one of the repainted planes. The 38 year-old designer and artist from Brighton, also a Design Tutor at Kingston University, has spent the past few months honing his design with Emin. It will be emblazoned across a number of British Airways aircraft and seen by a global audience of millions. To create an illusion of a dove, Pascal spent hours in a cote observing the birds. He incorporates their intricate detail on the livery, which will use a new color of paint produced by the British Airways engineering team and its suppliers. This is how the 787 of ANA should have looked (lower image), a design created by Lila Design. A more recognizable, stylished true 787 branded livery. The one ANA is operating now (upper image) is a design by Boeing and lacks any Boeing branding... All the different branding positions and fancy decorations make the Boeing 787 Boeing design unbalanced and a noisy hotch-potch flying circus-jet. Aeroflot has painted one of their Sukhoi SSJ-100 Superjets in the alliance livery of Skyteam. It's sad to see that the SKYTEAM titles are positioned a bit too close to the cabin windows while the AEROFLOT titles are positioned to low from the window line which make it an unbalanced looking livery. This SSJ-100 (reg. RA-89005) is already the 6th Superjet for Aeroflot and will enter service on March 5, 2012. The plane has a 75 x economy and 12 x business class configuration, it's the 4th aircraft with this configuration. Boeing and more than 5,000 employees, suppliers, customers and government officials celebrated the 1,000th 777 at a special event today. The 1,000th 777 jetliner will be delivered to Dubai-based Emirates later this month. The Emirates 777-300ER bears the 1000th-milestone titles in black Boeing font on the rear. Alaska Airlines (Seattle/Tacoma) will again serve as the official airline sponsor of the Iditarod Trail Sled Dog Race, marking the 34th year the carrier has supported the event. The airline will again present the Leonhard Seppala Humanitarian Award, which recognizes one musher for providing exemplary dog care and is considered the highest honor a competitor can receive. The award is named after one of Alaska’s most-celebrated mushers, whose 1925 sled-dog team traveled the longest distance to transport diphtheria serum to Nome. As part of its sponsorship, Alaska Airlines also will provide air transportation and dog-care supplies for Iditarod veterinarians who care for the race dogs’ health and safety. In addition, many Alaska Airlines employees contribute their time at the event. The Dog Squad, staffed by airline employee volunteers, again will assist mushers and their dogs at the finish line. Several Alaska Airlines pilots will lead the Iditarod Air Force, flying veterinarians, supplies and volunteers to remote checkpoints along the trail. The Iditarod Trail Sled Dog Race is an annual sled dog team race across Alaska. Mushers and a team of 12-16 dogs (of which at least 6 must be on the towline at the finish line) cover over 1,049 miles in 9–15 days from Anchorage to Nome in western Alaska. The race begins on the first Saturday in March. The Iditarod began in 1973 as an event to test the best sled dog mushers and teams but evolved into today’s highly competitive race. The current fastest winning time record was set in 2011 by John Baker with a time of 8 days, 19 hours, 46 minutes, and 39 seconds. Teams frequently race through blizzards causing whiteout conditions, sub-zero temperatures and gale-force winds which can cause the wind chill to reach −100 °F (−73 °C). A ceremonial start occurs in the city of Anchorage and is followed by the official restart in Willow, a city in the south central region of the state. The restart was originally in Wasilla, but because of too little snow, the restart was permanently moved to Willow in 2008. The trail runs from Willow up the Rainy Pass of the Alaska Range into the sparsely populated interior, and then along the shore of the Bering Sea, finally reaching Nome in western Alaska. The trail is through a harsh landscape of tundra and spruce forests, over hills and mountain passes, and across rivers. While the start in Anchorage is in the middle of a large urban center, most of the route passes through widely separated towns and villages, and small Athabaskan and Inupiat settlements. The Iditarod is regarded as a symbolic link to the early history of the state and is connected to many traditions commemorating the legacy of dog mushing. © Alaska Airlines Boeing 737-490 N705AS (msn 29318) "Spirit of Alaska Statehood" (We're all pulling together) (State of Alaska) ANC (Michael B. Ing).